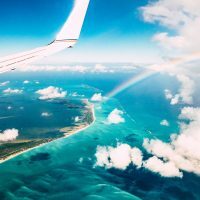 10 Best Cheap Family Beach Vacations in the U.S.
Want to take a cheap beach vacation with the kids? These destinations across the U.S. offer beautiful public beaches with budget-friendly activities and accommodations for an affordable family beach vacation. These are the best cheap family beach vacations in the U.S. Looking for fewer crowds with long stretches of beach and tide pools to explore? Wells Beach on Maine’s southern coast has 7 miles of oceanfront with three public beaches: Crescent Beach, Wells Beach, and Drake’s Island Beach. The beaches are free, but expect a small fee for seasonal parking and the summer trolley. 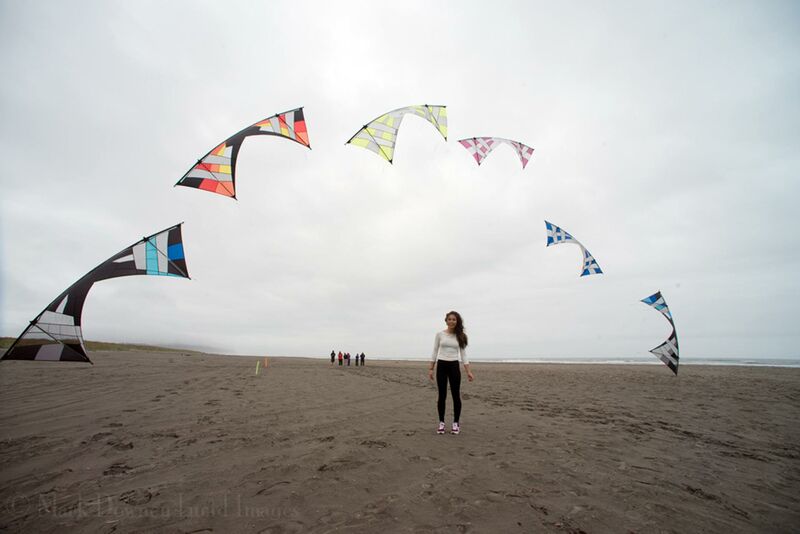 Other recreational activities include hiking trails at Wells Reserve, kayaking, and tidal excursions. A 30-minute drive away is Palace Playland, a beachfront amusement park with rides averaging between $3 to $6 each; Aquaboggan Water Park, where you can purchase tickets based on age and park use; and York’s Wild Kingdom, a zoo and amusement park, with options for zoo only. 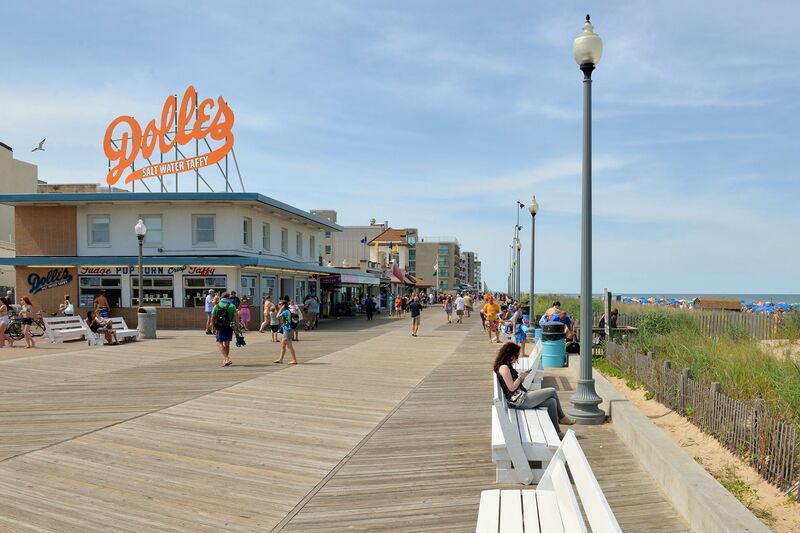 Rehoboth Beach, the largest beach resort in Delaware, is a very affordable family beach vacation. Families can enjoy the beach and mile-long boardwalk with shops, dining, and attractions, including Funland, where rides range from 40 cents to $1.20 (less if you purchase a discount book). Beach parking is metered or by permit. Listen to free live weekend entertainment at the bandstand, walk or bike the trails at Gordens Pond, and for a small entrance fee, visit Cape Henlopen State Park with its famous “walking” dunes, and Delaware Seashore State Park. Other excursions include boat rides, canoe and kayak tours, kiteboarding and Jolly Trolley Rides. 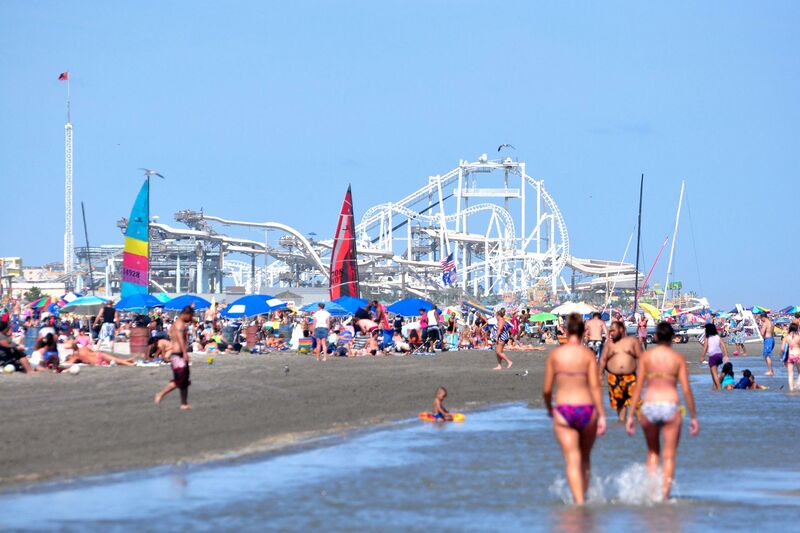 Wildwood Beach in New Jersey has a 5-mile-long beach with free and metered parking, and a happening boardwalk with shops, dining, and Morey’s Piers, the ultimate amusement park with water parks and rides. Along with beach fun like outdoor movies and sandcastle building competitions, the amusement park has plenty of attractions for all ages. Tickets are sold in individual or family packs of four and start at $37. Nearby are Ed’s Funcade, the Seaport Aquarium, and the Historic Cold Spring Village. With over 100 miles of shoreline with public beach access, North Carolina’s Outer Banks is one of the most popular cheap family beach vacations in the U.S. Families who like lots of room to spread out and play will want to go Nags Head. Kitty Hawk and Kill Devil Hills are best for waves and surfing, and near Hatteras is shopping and dining. More secluded beaches at Cape Hatteras National Seashore might take an off-roading adventure to get there. If you are looking for calmer and shallower waters, visit the beaches on the western side of the islands. 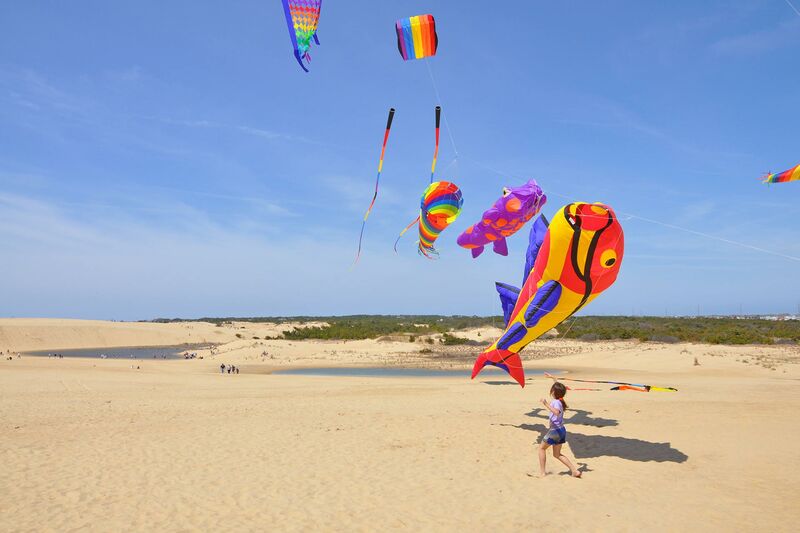 While visiting, hike in three maritime forests, go on a nightly ghost crab hunt, fly kites at Jockey’s Ridge or walk up the largest dune on the East Coast. Other activities include kayaking, a living history farm, North Carolina Aquarium, and the Children at Play Museum. 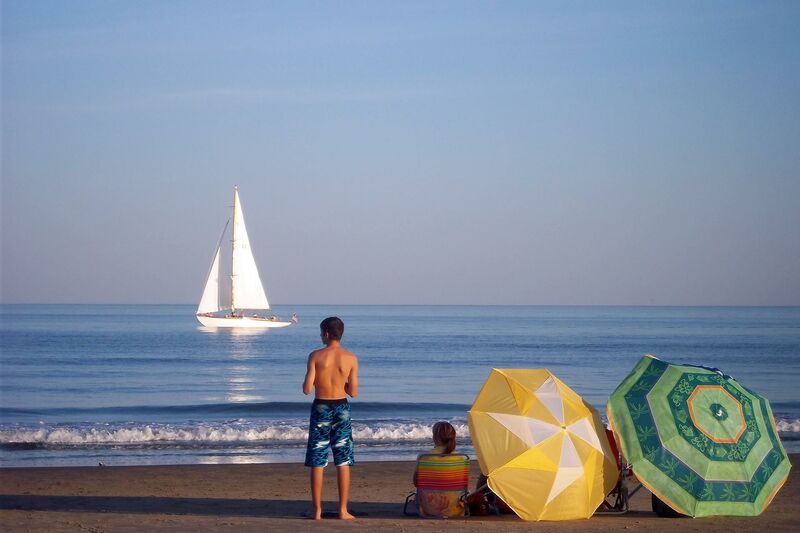 In Myrtle Beach, South Carolina, there is over 60 miles of public beach with parts hugging small beach towns and more secluded locations with seasonal paid parking. There are plenty of water related activities, like kayaking, jet skiing, parasailing, SUP, fishing and boat tours. For a small fee, explore Huntington Beach State Park’s hiking trails, beaches and marshlands, and tour the historic mansion. When it’s time to leave the beach, head to Ripley’s Believe it or Not!, Broadway at the Beach, and Family Kingdom Amusement Park, where ride tickets range from $3 to $6 per ride. There’s also an option for an unlimited ride pass for $28 with upgrades for the water park. 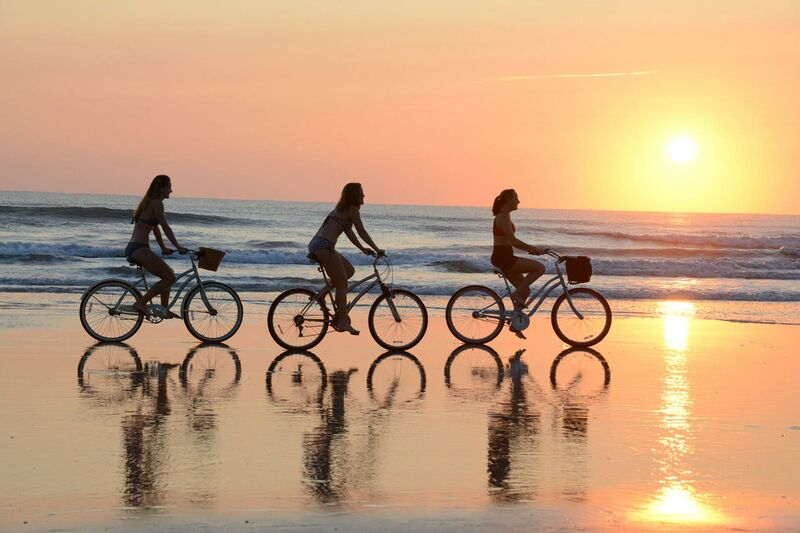 Florida’s 23-mile white-sand Daytona Beach is known as “The World’s Most Famous Beach” – and it’s also one of the most affordable family beach vacations! Close to shopping and dining, with some food trucks on the beach, families will be close to the water and services. Beach access is free for pedestrians, but you’ll need a beach pass for your vehicle, and for $20, you can drive your car right onto the beach to set up camp with all of your beach gear and goodies! Nearby is the Daytona International Speedway; the Marine Science Center, where kids can feed stingrays and birds, touch snakes and learn about sea turtles; and the Ponce de Leon Lighthouse, the tallest lighthouse in Florida. Be sure to stop by Angle and Phelps Chocolate Factory for a free tour. Along Washington’s southwest coast is a 28-mile stretch of beach along the Long Beach Peninsula. Known as one of the world’s longest beaches, visitors flock to this cheap beach vacation destination for beachcombing, beach bonfires, kite flying, clam digging, horseback riding, surf lessons, bicycling, and the 8.2-mile Discovery Trail, with markers from the Lewis and Clark Expedition. Parking is free and you can drive your car on the beach. For a small fee, visit Cape Disappointment State Park and hike to the lighthouses or explore more beaches, and at Leadbetter Point State Park, hike and bird watch. Nearby activities include the World’s largest Frying Pan, the International Kite Museum, Fun Beach Speedway, and Marsh’s Free Museum, a gift shop/museum with lots of oddities like Jake the Alligator Man. The beach resort town of Seaside, Oregon, is known for its long beach, historic promenade, and budget-friendly accommodations along the oceanfront and neighboring river. Stroll the beach, hike or bike, paddleboard, and discover more beaches at nearby state parks. Activities include the Seaside Aquarium, where you can feed the seals, and Seaside Carousel Mall, with a carousel, kayaking, surfing, biking, skateboarding. A short drive away is High Life Adventures ziplining and Fort Clatsop Historical Park. A 20-minute drive from San Diego, Coronado features a 1.5-mile-long stretch of beach with the grand Hotel de Coronado as the backdrop. There is some free beach parking, as well as metered and paid lots. 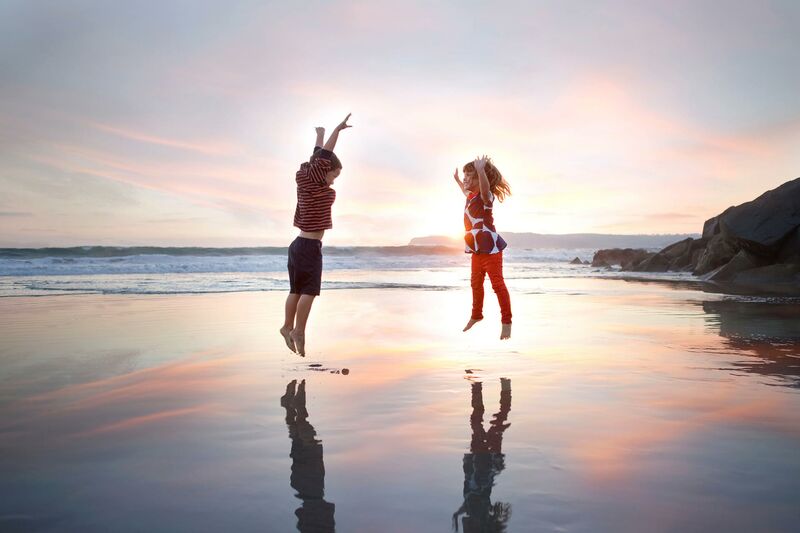 There is plenty of beach fun including tide pooling, sandcastle viewing, and local parks. For a small fee, Silver Strand State Beach is nearby and offers nature trails and wildlife viewing at San Diego Way National Wildlife Refuge. Other activities include the Aquatic Center and Rock Wall at Coronado’s Community Center, kayaking, SUP, biking, hotel tours, and shops and dining at Coronado Ferry Landing. 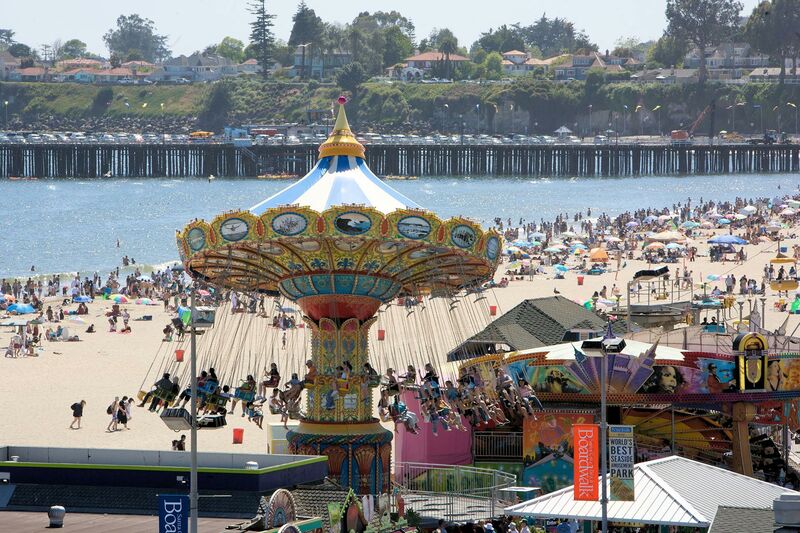 Santa Cruz County has over 27 miles of beaches, and the most popular one is right next to the Santa Cruz Beach Boardwalk and its iconic beachfront amusement park with over 40 rides. Parking is metered, in parking lots, and there is a seasonal trolley. 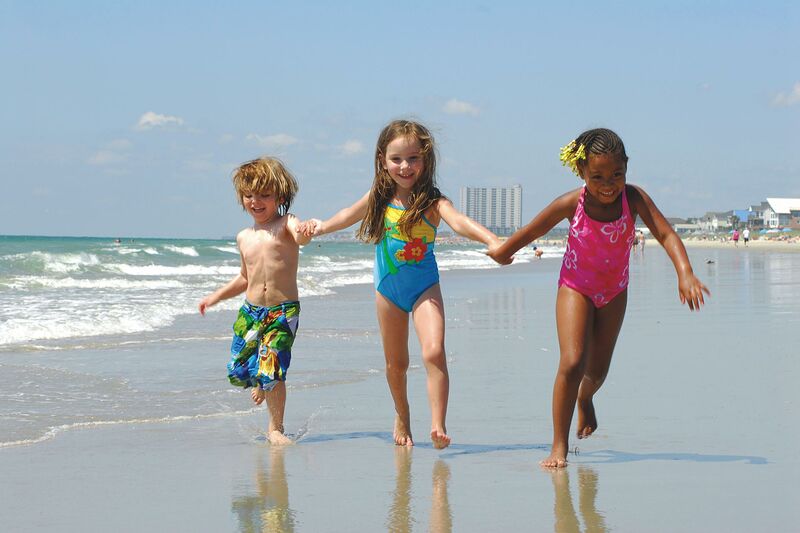 A day at the beach here means families can easily break up beach time with amusement park fun, shopping or dining. The boardwalk is free to explore and ride tickets range from $30 to 40 for day passes to $80 season passes. Free must-do activities are visiting the Monterey Bay Sanctuary Exploration Center and walking the Santa Cruz pier, which happens to be the longest pier in the United States. For a small fee, visit Natural Bridges State Beach for tide pooling, pick-your-own fruit at Swanton Berry Farm, and hiking or biking at Henry Cowell Redwoods State Park or Wilder Ranch State Park.